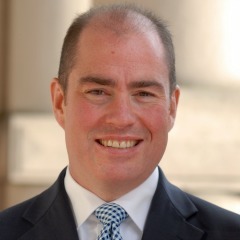 You are here: Home / Agree with Hepp? / Do You Guarantee Your Funeral Services? Do You Guarantee Your Funeral Services? 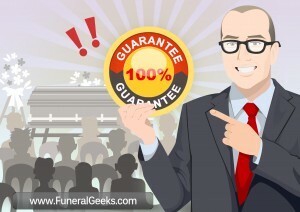 Guarantees are powerful marketing tools. Reversing the risk from potential client families and placing the responsibility on you and your staff is one great way of building trust. Often though, when I share these thoughts with funeral directors, a number of them are hesitant to guarantee their services. They feel that families will take advantage of the guarantee. For those who offer guarantees, I asked how often have they been called on their guarantee, and I get the same answer – maybe one or two times – and they say that those were legitimate complaints from the client family. Then I ask those he don’t have a guarantee if they have ever had to give a refund on some services due to a complaint and oddly enough I get the same answer – one or two times. The differences that that this group who doesn’t want to promote having a satisfaction guarantee still has the obligation of a guarantee but they’re just not getting the marketing benefit from promoting it. Now don’t worry about having to give all of the money back if something goes wrong, it just applies to the services that are in question. Here is the wording that I have come up with and shared with many clients. [Firm Name] of [City / Town] is committed to service beyond expectation before, during and after the service. We guarantee that if you are not 100% satisfied with any aspect of our service, we will make every effort to correct the situation. If we cannot correct it to your satisfaction, you will not be charged for that particular service item. One situation this can be used in would be if people were hesitant about embalming or viewing – maybe because they had a bad experience in the past with how someone looked. As you know, if a family says no to embalming, it has a negative ripple effect on the contract total. They probably then won’t want to viewing, and then they probably won’t want to purchase a casket, and they would then probably be less agreeable to having a traditional service and may turn that into a memorial service or worse just a cremation only. On the other hand, if the family says yes to embalming, there is a better chance for viewing or visitation, and potentially a better casket and then there’s no reason not to have the casket present at the service. So why not mention your guarantee the next time someone is on the fence about embalming or viewing. I was at a recent continuing education program where I presented my, Marketing Embalming program with this suggestion and the strategy was well received. (Note: Let me preface this though that it does not have to apply to people who are severely disfigured or burned beyond recognition. Another angle of a guarantee that I have shared with my clients is having a No Hidden Fee Guarantee. This is a strategy that can be used when dealing with price shoppers especially over the phone. These plans include Service Fees, Merchandise and Taxes. We guarantee that the price we give you over the phone or you see on this website, will be the price that you will pay. Cash advance items and cemetery expenses are not included: What some funeral homes fail to disclose are the additional fees that may be necessary. These include obituaries, honorariums (clergy, musicians, soloists, altar servers), catering, sales tax, etc. We will be more than happy to email you a quote so that you will have an estimate that is as accurate as possible. What this guarantee does is elevate the level of trust that you have with the caller and it will give you the permission to fully explain your services. 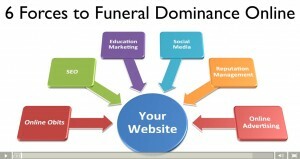 The other thing that it does is casts doubt in the potential client families mind when they are contacting your competitors and they might be wondering if this other funeral home has hidden fees. I really hope that this eases your mind about having a satisfaction guarantee. The only reason why I could think that someone would not want to offer guarantee is that they may not have the utmost faith in their staff. If we are ever to be considered a profession to the public we well at least have to hold ourselves to higher standards. I believe one of the first steps is guaranteeing that your client families will be satisfied. Whether you agree with me or not I would love to hear your thoughts about this topic. Feel free to e-mail me at robin@funeralfuturist.com. Also, in case you were wondering, I practice what I preach, I offer a guarantee on all of my services and my events.